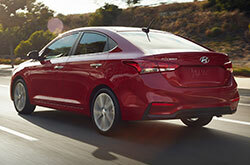 Redesigned for the current model year, the 2018 Hyundai Accent moves from subcompact to compact status because of increases in width by 1.2 inches, wheelbase at 0.4 inches and length at 0.6 inches. Passenger volume expands to 103.9 cubic feet, not including a huge trunk of 13 cu. ft. Body rigidity improves by 32 percent through the use of 54.5 percent high-strength, which represents an increase of 13 percent. The increased rigidity improves driving dynamics, lessens noise, and increases crash performance. Modified fog light housings flank the updated larger grille and its bolder lower fascia. The audio system in the S trim consists of four speakers with an AM/FM radio and a CD/MP3 player. It contains controls that are mounted on the steering wheel so you maintain focus on the road even when adjusting the volume. You also get a 5-inch color touchscreen so you can swipe and tap your way to infotainment control. The 6-way adjustable driver seat includes modifications for the height, sliding, and reclining. You'll maneuver in tight traffic more easily through Motor-Driven Power Steering. A standard safety feature on the SEL trim is Hillstart Assist Control, which holds the brakes for a few seconds so you can transition from brake pedal to accelerator without the car rolling down the slope. The entertainment system upgrades to six speakers, a 7-inch touchscreen, and over 150 stations in SiriusXM® Satellite Radio. 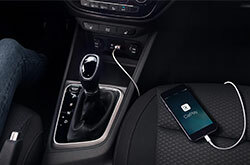 Your compatible smartphone integrates into the system through support for Apple CarPlay™ and Android Auto™. The highest-level Limited trim improves visibility by upgrading the front with LED Daytime Running Lights, projector headlamps, and fog lamps. The interior keeps comfortable through Automatic Temperature Control with Auto Defogging. When you have the Proximity Key in your pocket or purse, you can unlock and lock doors without taking out your keys. You can even run the engine by pushing a button. To feel the wind in your hair and the sun in your face, open the power tilting-and-sliding moonroof. Reaching 130 horsepower at 6,300 RPM and 119 lb.-ft. of torque at 4,850 RPM, the 1.6L 4-cylinder relies on Direct Injection and Dual Continuously Variable Valve Timing. Fuel economy achieves 38 MPG on the highway and 28 MPG in the city* through the front-wheel drive. The available 6-speed automatic transmission includes SHIFTRONIC® to give you manual gear changes and the Active ECO System for optimizing fuel economy. Every ride becomes smoother even on broken roads because of the MacPherson struts with coil springs and gas shocks for the front and the torsion suspension with coil springs and monotube shock absorbers in the rear. 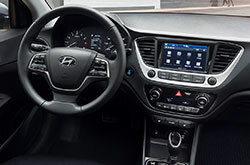 Safety in the 2018 Hyundai Accent starts with properly filled tires that you can check through the Tire Pressure Monitoring System. They stop more solidly with the help of the four-wheel four-channel anti-lock brakes that are enhanced by Electronic Brake-Force Distribution and Brake Assist. Available Forward Collision-avoidance Assist can detect if slowing or stopped vehicles may impact your car. If you don't react appropriately to its warning, it can engage your brakes to prevent an accident. You'll have eyes in the back of your vehicle when you pull into reverse, thanks to the backup camera that projects live video on the dashboard screen. There's one way to uncover the impressive features of the 2018 Hyundai Accent in person and that is with a test drive. 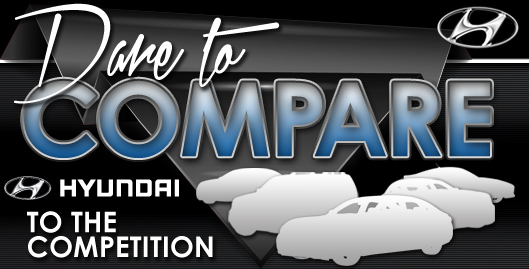 So contact us today to schedule an appointment or visit our dealership so we can also show you around.